Effective home security is about deterring would-be intruders from targeting your property and preventing confrontation with them. It’s about adding barriers which guard your assets and most importantly, it’s about protecting the home’s occupants. All the occupants need to feel safe, secure and comfortable and although most burglaries take place during daylight hours, people are generally more concerned about safety and security at night-time. You probably don’t want your home to like Fort Knox or create paranoia amongst the occupants, but you do want everyone to feel confident and safe when the sun goes down. Time, noise and visibility. Burglars want to get in and out as quickly as possible without being heard or seen – so you should aim to increase these three things in order to make it as hard as possible for them to gain entry unnoticed after dark. Don’t let burglars use the cover of darkness to surprise you – rather put them in the spotlight and scare them off with motion-sensor floodlights. In fact, you should keep the whole exterior of your home well-lit and for peace-of-mind, it’s a good idea to have some of these outside lights on an automatic timer switch. You may also want to consider solar lights to illuminate any dark spots in your garden or backyard. Most people are good about maintaining working locks on their doors but did you know that functioning window locks are just as important? And when you have a problem with a faulty lock or door handle, don’t put off fixing it, get it sorted straight away so you don’t leave any vulnerable spots. It’s also good idea to lock entry points during the day as well at night and follow a positive routine of double-checking your security before heading for bed. For a thief wanting to break into a property at night, an overgrown shrub in a dark corner makes a perfect hiding place whilst an overhanging branch near an open window is an easy ladder into a home. By keeping your landscaping tidy and pre-empting any weak spots, you’ll make it more difficult for a robber to target your property. If you’re home alone at night, create an impression that there’s more than one person on the property by leaving a couple of extra lights on and simulating activity by turning on a radio or the music system. If a burglar thinks your home is too difficult to access, he’ll move onto an easier target. A reliable home security system that has a loud siren is your best defence against nocturnal burglars – and in fact, against criminals 24/7. Security cameras are another deterrent and by displaying the security company’s advertising sign on your gatepost or fence, you’ll send a clear message to any would-be thieves that your home is well-protected. 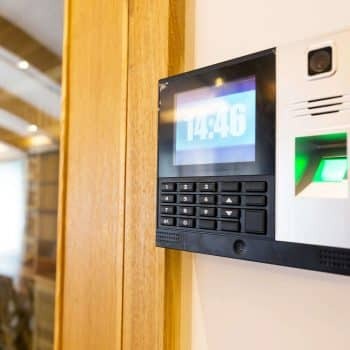 A common-sense approach to night-time home security which balances technology with positive habits can make your home a safe haven for those living there as well as for any visitors. 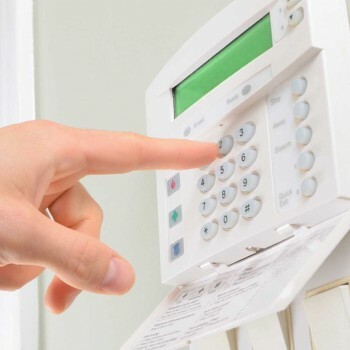 You should also have a chat to your local home security professional as they will have a wealth of knowledge and experience to help you find the best ways of securing your home and protecting your family and your assets.